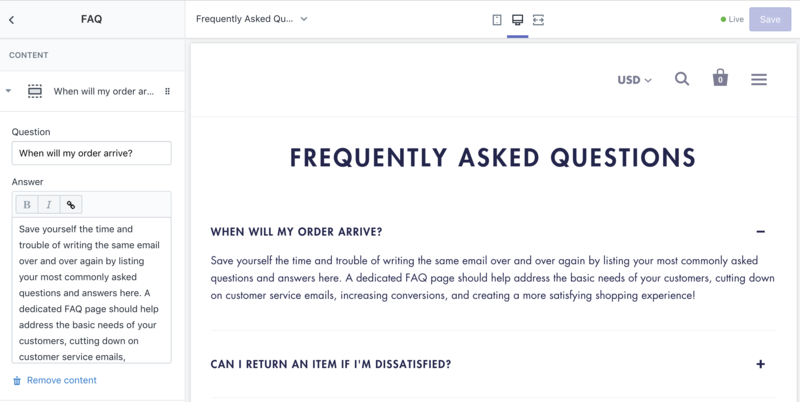 Shopify's Pages can be used to display information that rarely changes, and that customers will use often–such as About pages or Contact pages. You can add as many pages as you like to your store under Online store > Pages, and configure where they appear under Online store > Navigation. There are also a few pages like the Cart page that are generated and populated automatically, but which you can customize by navigating to them in the theme editor and finding their section settings. We'll cover the settings for these below. From your Shopify admin, navigate to Online store > Pages, then click the Add page button to open a new page template. From here, you can enter the Title and Content in the space provided, as well as set the Visibility and select a Page template. Startup comes with three templates: a basic page template, a Contact page (contact.page) template, and a Frequently asked questions (faq.page) template. Adding a contact page to your store is a quick and easy way of engaging your customers. To create a contact page you will first need to create a new page. Scroll to the bottom right of the screen and select page.contact from the Template dropdown menu. This will append a contact form (screenshot below) after the Title and Content copy. Startup comes with a FAQ page template that uniquely styles your page in a visually-appealing Q&A format. 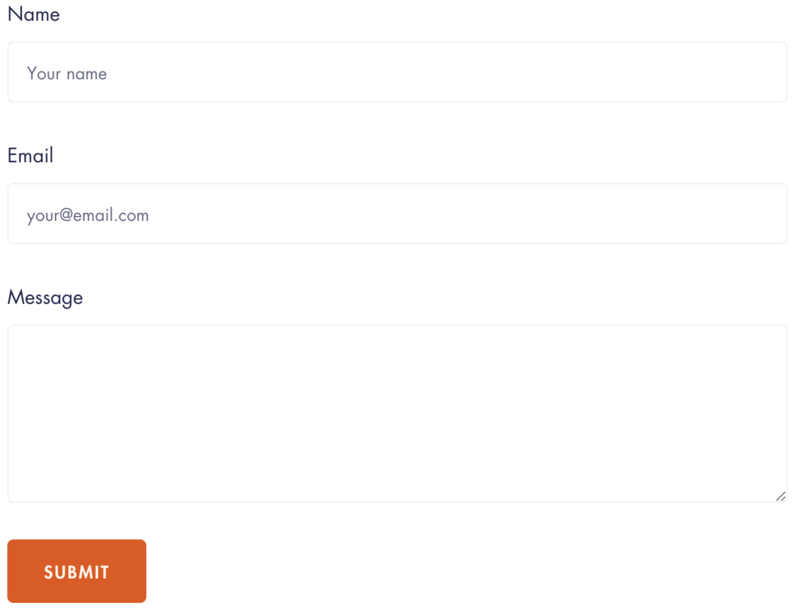 Start by creating a new page in your Shopify admin, then add a title. Select the page.faq option from the Templates dropdown, then click Save. Before you leave your admin, be sure to add it to the Navigation menu where you'd like it to appear. 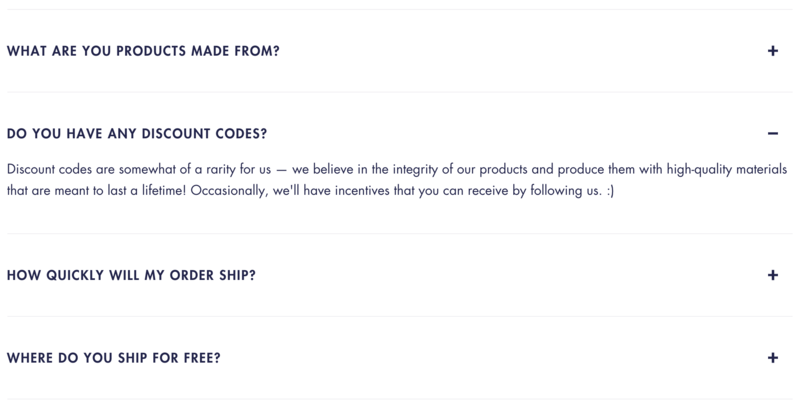 We've pre-populated the first three blocks with questions that are commonly included on store FAQ pages. You can use these, edit them, or create your own by selecting Add frequently asked question. There is no limit to the number of questions or answers you can add to this page template. The Cart page shows a summary of the items and quantities added to the cart, and a total of how much it will cost them. In Startup, users can also add order notes the seller on this page. Enabling Show names of vendors will include the respective Vendor title for each item held in the cart. Enable order notes will create a text field at the bottom of the cart page where customers can add "special instructions" about their order. The title of this feature can be changed by going to Edit languages > Cart. 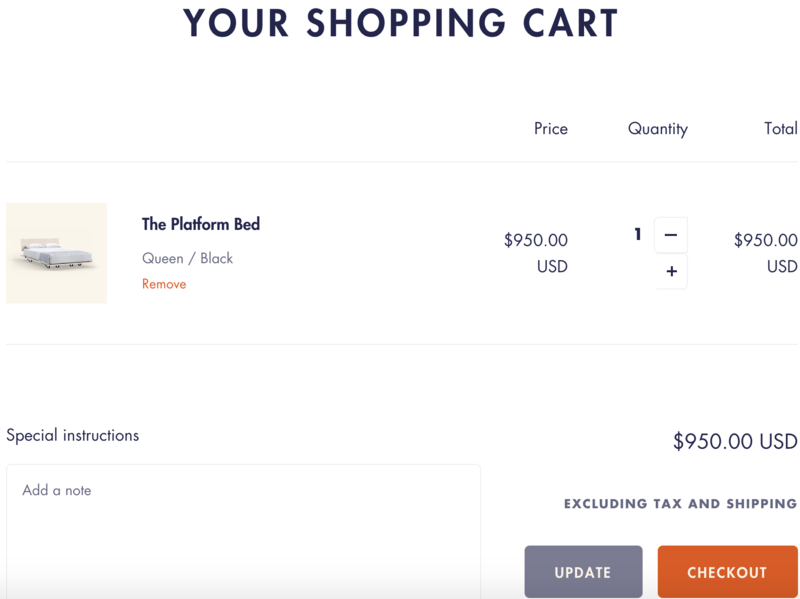 Startup also has an option to Enable shipping calculator—a tool that automatically fetches shipping rates on the cart page of your store, letting customers calculate their fees before proceeding to checkout. After enabling, enter a Default country in the box below. Note that if a customer is logged in to their account, their default country will be selected.